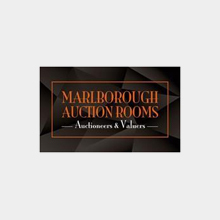 Marlborough Auction Rooms is a newly established family run auction house with offices situated on the A4 in Manton on the outskirts of Marlborough. Together with our associates and consultant experts, we have accumulated many years of experience in the world of auctioneering and valuing, house clearance and transportation and wish to bring these skills and our knowledge to the community of Marlborough and the surrounding district. Our aim is to provide a friendly, caring and highly professional service to our clients who we believe should always be at the forefront of our business thinking. To that end, we are members of the Federation of Small Businesses. Whether you wish to sell a few items that you no longer want, or require a full house clearance and probate service, we are here to provide you with a bespoke service to suit your precise needs. We feel that engaging with organisations and charities within Wiltshire communities is paramount to our ethos. Our auctioneer/ valuer has spent many years on the speaker’s circuit providing informative and entertaining talks for many organisations such as the Women’s Institute, and has helped to raise thousands of pounds for a variety of charities by conducting their auctions. We also provide sponsorship for Devizes R.F.C.